Attorney Sallie D. Skipper moved to Florida when she was three years of age. Her father, Glenn, had transferred to Jacksonville with Prudential Insurance Company. Sallie attended Alfred I. duPont and Wolfson High Schools. Afterward, Sallie went to work at a local bank, where she met her husband, Curtis Skipper. They had three children. Curtis died in 2015. 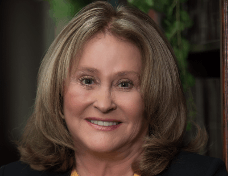 Sallie is a former real estate broker, and a graduate of Pasco-Hernando State College, University of South Florida, and Stetson College of Law. She is active as a leader in the legal community, but her passion is for her family and church. In her free time, Sallie enjoys travel and reading. 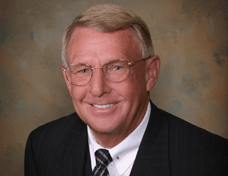 Attorney Jeffrey A. Herzog is “of Counsel” to the firm Skipper & Skipper, as well as son-in-law to the founding partners. 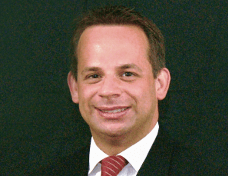 Jeffrey maintains a busy full-time practice with offices in both Palm Harbor and Trinity, but still finds time to meet with clients at S&S regarding matters that are outside the scope of probate and trust administration, such as real estate and business law. Aside from the marriage to his lovely wife, Jeffrey is proud of two other events: he was an assistant to former Attorney General Edwin Meese, assigned to the U.S. Supreme Court; and the 2013 birth of his son. Baby Herzog is the image of his dad, and Jeffrey spends all free time with his son, often to the exclusion of former hobbies. Despite his busy life, Jeffrey somehow finds time for his church and community service. Attorney Nicole Arfaras Kerr has family rooted in the early days of the Tarpon Springs sponge industry, where her great-grandfather was a sponge merchant. Nicole graduated from Tarpon Springs High School and attended St. Petersburg Junior College before proceeding to the University of Florida, where she earned her Bachelor, Master, and Juris Doctorate degrees. 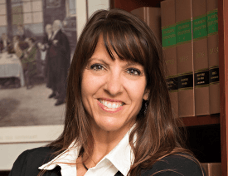 Her practice has included constitutional law, nursing home negligence, Social Security Disability, general civil litigation, and estate planning. Nicole’s passion is for her family and children, whom she homeschools. She is also active in her church, enjoys waterskiing, theater and the arts. Attorney Nicole Arfaras Kerr is Of Counsel to the firm of Skipper & Skipper, P.A. and regularly consults with clients.